We chose an awkward time to visit Paris. Euro 2016 fans could be found in every corner of the city chanting their country’s football anthems, while soldiers were stationed on every street corner after threats had arisen. The Seine found itself at heights not seen since the 1960s, causing the Louvre to evacuate a large chunk of its collection. The entire city seemed to have a heavy dampness in the air. And, as we chose to visit in the middle of summer, Parisians had largely vacated the tourist throngs. 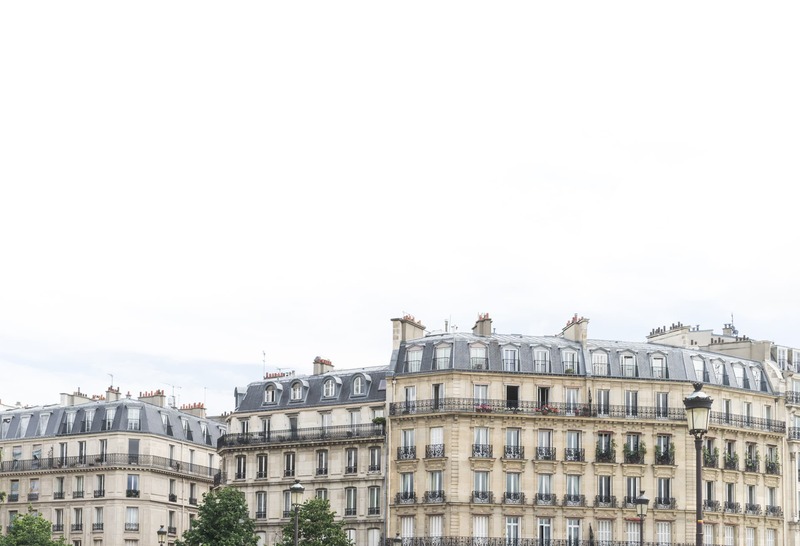 In short, Paris felt very un-Parisian. 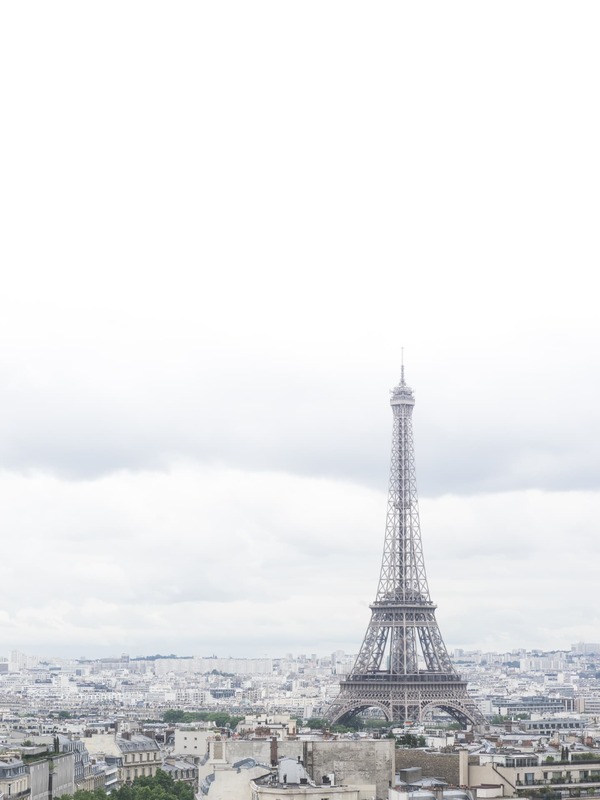 This was Jaclyn’s second time visiting the City of Light and it was my third visit. This being my third visit, I felt a sense of comfort. The Métro hadn’t changed, so we made sure to keep our tickets on hand until we exited. The same cheap crêperies inhabited the same locations at Trocadéro, so we knew to have a few coins to grab a snack.1 Most importantly, we knew which touristy streets to avoid, allowing us to experience what little Paris there was left to discover. Of course, we wouldn’t have visited if the plan was to retrace our prior steps. 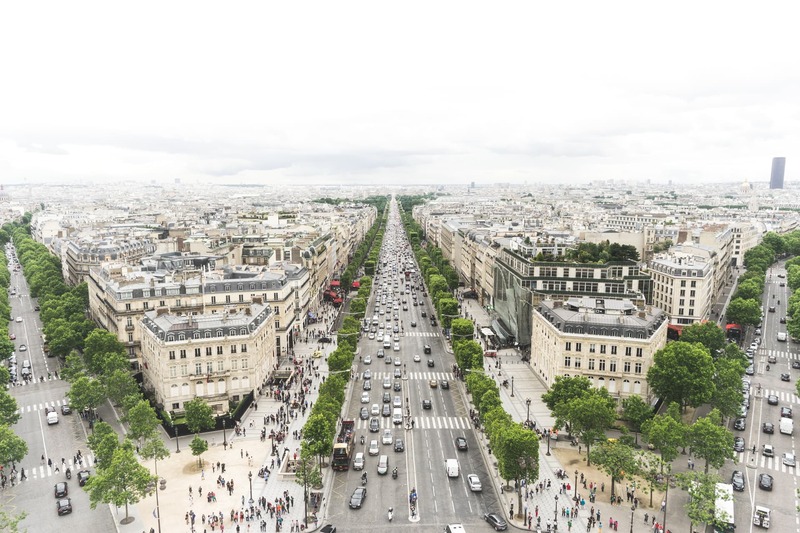 This time, we enjoyed the views from the top of the Arc du Triomphe and wandered the streets of the Latin Quarter, the Marais, Les Halles, and Île Saint Louis. Mid-30 degree weather had us looking for shade and ice cream,2 but it’s hard for the weather to keep you from admiring the beauty of the city. Place des Vosges was a perfect spot to enjoy a cup of coffee and to people watch for a few hours. The square is just far enough away from the huge crowds to get a breath of fresh air. Aside from the near-perfect porridge in London, Carette kicked off our fooding habit and, after a bit of a walk to Les Halles, an American-styled burger with homemade Roomies sauce really put our tastebuds into action. We can’t recommend either of these places enough. I’ve long felt Paris’ beauty isn’t as immediately obvious as beauty in other cities. Paris’ streets are an awful mess and the high consumption of nicotine leads to a smokey stench. If I was asked to judge the city based on my first five second impression, I’d say I was horrified. But look upwards and you’re sure to be mesmerized. 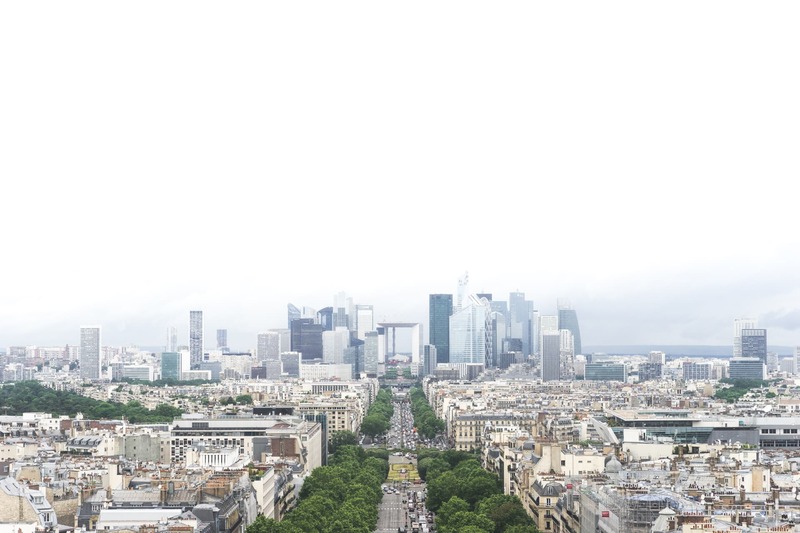 Parisian architecture is unlike any other city in the world. 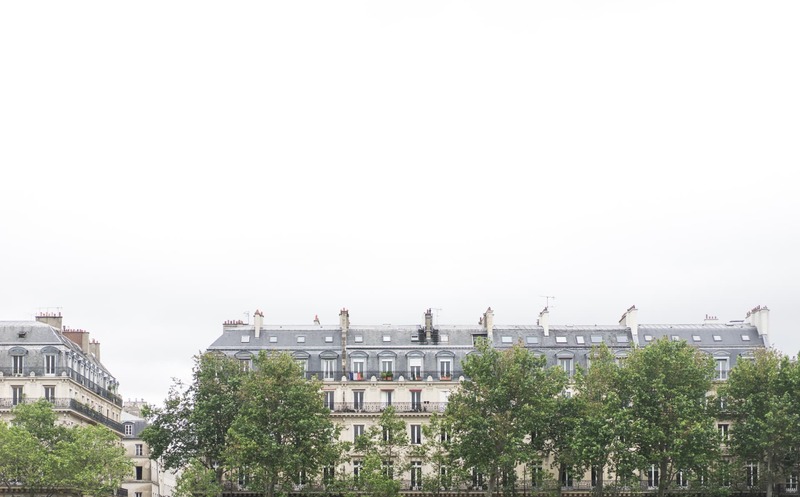 Paris’ elegance, to me, is most perfectly reflected in the flowerbeds hanging off window balconies and orange chimneys lining the tips of apartment buildings. Throw in that truly-Parisian black-to-blue top level with open-swinging windows and Parisian architecture becomes second to none. There’s enough history in this city to satisfy the hungriest of learners. Île de la Cité dates back to BC times, with centuries of catacombs to prove it. The Louvre, of course, houses millenia of artifacts and artwork, and is definitely worth a few euro to visit if you have time to stand in line. And if you want to see the peak of Georgian-era opulence, head just outside the city to visit the Sun King’s quarters. If, on the other hand, you quickly grow tired of huge masses of European backpackers, make like us and get off the main streets. There are some incredible little treasures to find off the beaten Paris track, and it doesn’t take long to find Parisians who work hard to improve their rude reputation. For the first time, we came away impressed with Paris’ hospitality and we were incredibly grateful for how quickly locals used their English to help us out. This was set to be our last trip to Paris for many years. 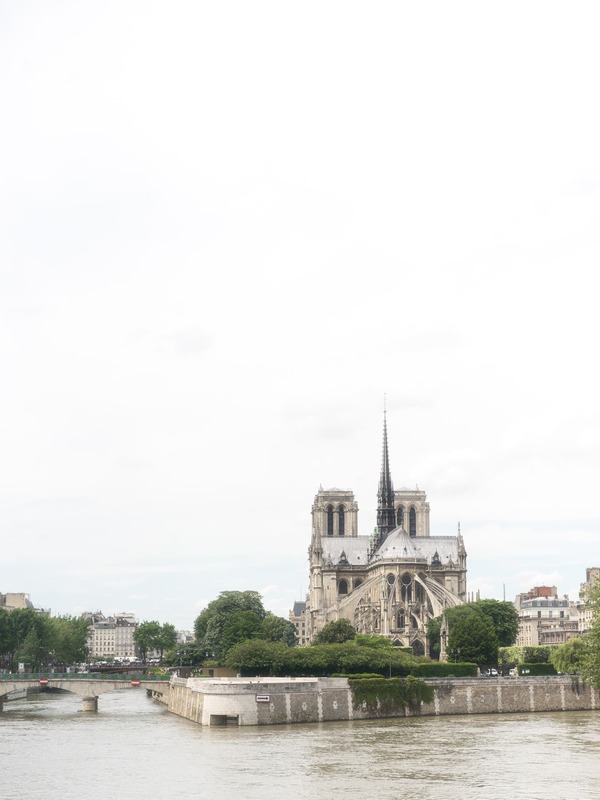 But, thanks to the city’s newfound hospitality, and thanks to how little Paris you can experience in the middle of the tourist season, it’s going to be very difficult not to want to visit during a travel downtime.